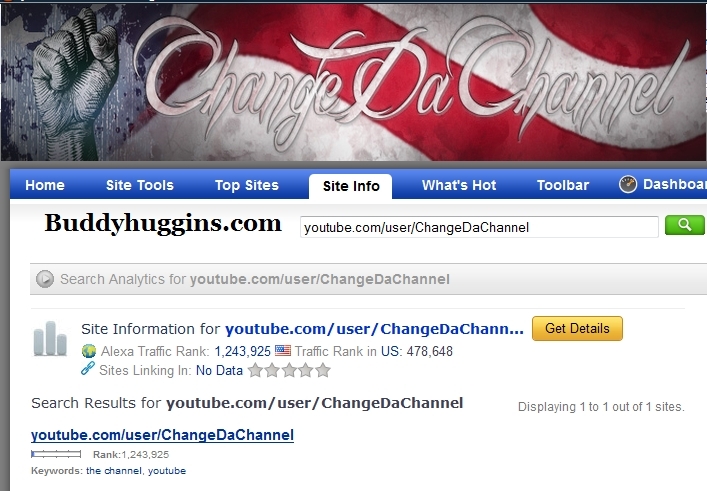 From: ChangeDaChannel | Dec 20, 2011 A picture is worth a thousand word. Blowing off steam about the news "A Move is Worth Ten Thousand Words"
This guy Ranking is off the charts , Way High! Many people are seeing and hearing the Truth! So promote his work, re-post it. Send his videos to your asleep friends, you know the "dead heads". This shows me we have made a turn, and the Light is wining. The Dark is running like hell to keep us plugged to the TV lie NEWS to keep us in fear. 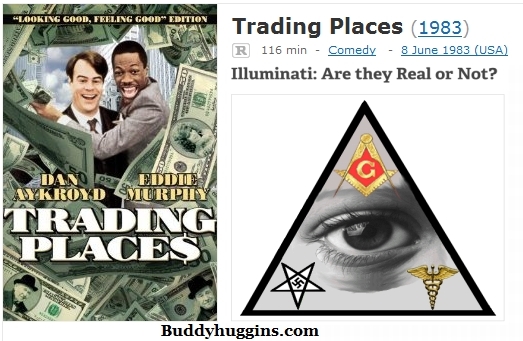 In this video I show some subliminal messages and symbolism relating to "9/11" which can be found in the film "Trading Places" (1983), which was produced by Aaron Russo. Near the end of the video are some short clips from a video where Alex Jones interviewed Aaron Russo, shortly before Aaron Russo died. There is little one can say about a video such as this. Nazi Germany has arrived in the US, predicted by many for years. The writing was on the wall so people shouldn't be surprised. The more people that see this video the better. It's all about informing and spreading truth after all. Martial Law Bill Passes Congress Allows Military to Arrest, Permanently Detain, Torture and Kill American Citizens without Trial. Credits to Matt D for the editing of this video and youtube user Elf for uploading and sharing. And now…Ron Paul talks about the bill to Alex Jones. The search for enlightenment is akin to believing in Santa Claus as a child and hoping you are going to have all kinds of presents to open. It means that someone outside of you or something outside of you is going to give it to you. This is the beginning of self-deception because you deceive yourself into believing you must acquire something now to make the future better. Stop looking for places, people and concepts to secure your freedom from fear, anxiety, stress and general turmoil. Become fully responsible for every action in your life. The very thought you are having right now, as you are reading this article, is creating the future you are going to experience. If you can wrap your mind around the idea that only you create everything in your life, then you begin to see there is nothing outside of you whatsoever that will ever be able to give you what you are looking for in any way. It is vital for you to know that there are dimensions upon dimensions of frequency available to you. There are timescales of experience you have no conscious knowledge of and yet, at the same time, if you could look into your future, you would see that everything that you’re attempting to pull away from, everything you are attempting to stop from happening is actually what you are creating. Your attention and emotional input inform the vacuum of the future with the subject matter of your focus. This is not personal. It is a relentless, impartial principle of physics – both physical and meta. The key to coming into balance with this concept is to realize that whatever you are seeking is exactly what you want to stop seeking and bring into your conscious awareness the fact that it exists already. 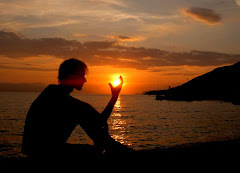 You enter into contact with your self and your Self. This means the ego personality and the Higher Self blend consciously as one so you see everything you are doing as an aspect of source consciousness bringing balance and understanding to your purpose in life without fear or apprehension. 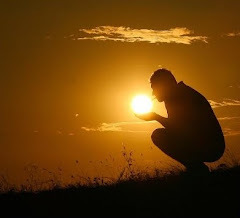 You know yourself as enlightened because you are – light within – enlightened. Slow down. Every time you think you have to do something to “make it right” or you have to be sure that somebody else is confirming what you are being, move away from this emotional reaction to what is happening in you. Literally choose freedom; choose your own destiny right now remembering that every choice informs your future. You don't believe your destiny is your choice. 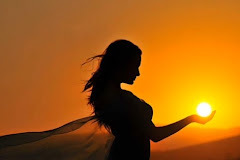 Yet it is in every single moment - from whether you are going to complete reading this article or whether you’re going to do something else, it is your choice. You might believe that someone is calling your attention or that you have promised to do this or that; you have an obligation or responsibility that is waiting for you and yet at the same time, the precursor to everything happening in your life is your thought or feeling right now. How you create from it in one way or another is always up to you. You are in charge! How can you tell what you are creating? You will easily notice whether you are actually in balance with what you desire your future to be, or not, by feeling inside for evidence of struggle or effort. Or is it a flow? If it is not a flow within you, if you don't feel like you're flowing from one moment to another, then you are literally creating struggle and effort in your future. So actually this balance that I'm talking about is one of recognition. It is recognizing how you are living your life. 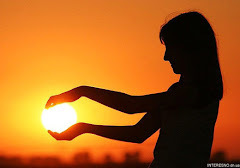 It’s coming to the understanding that if you want to live in different times, if you are going to bring about the changes in this world you say you want, you have to use your life as the receptacle of information, as the transmitter and receiver of information about you. Remember, the information is impartial, pervasive, all-compassing and absolutely impersonal. It does not care. You do. Move past what you feel is blocking your abilities and take on your soul’s commitment to this world. Turn away way from, walk away from that which you fear. Removing the energy from any person, place or situation is only done by ignoring it. Then you remove the energetic input you have been giving to it. Every time you feel fear, anxiety, stress or discomfort, literally walk away from whatever it is that is causing it and say, “This is no longer in my life. I will not participate with this in my life anymore.” You are the only one who can do this for yourself. You are the only one who can sing the song of your soul. There are all sorts of things your mind is going to say, “Oh no, no, no, this is essential. You must do this; you must do that.” Yet if you will navigate as you would in water, if you will direct yourself into a different flow of the stream and allow yourself to move away from the material particles of life you believe are holding you back, you’re going to find the actualization of your future as the source creator you are. You will realize the future you think is out there is only potential from the standpoint of your information being the source of the future’s outcome. Look at all of those phrases you use over and over again. Look at them. Feel them. What do they feel like? Do they feel like feel like flow, ease and bliss? You, as source informed, must stand firm if this world is going to change into the new paradigm, the future you so desire. Then we will live within the Apocalypse - the Lifting of the Veil. 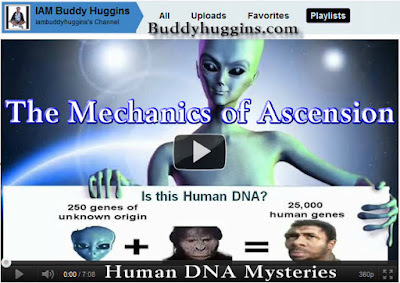 In the first part he speaks about human DNA, and how we perhaps might've evolved thanks to the genetic intervention of an Extraterrestrial race with whom we share most of our DNA. Much of human DNA is still a mystery to science. 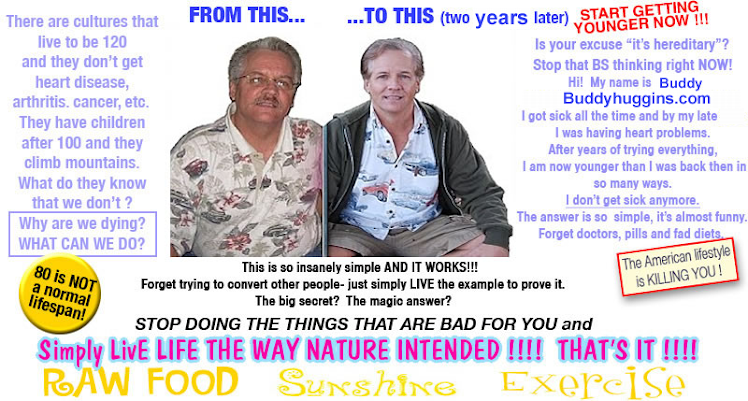 97% of our DNA is called "Junk DNA" but in fact it is Divine DNA preparing to be activated soon. About 85 percent of people are Rh positive which means Rh-Negatives are RARE! Rh- people typically have: Higher IQ, Sensitive vision and Psychic / healing abilities. So where did the Rh- blood type come from? There is a hard digital link between emotions and genetics. This is the first time we have ever seen the patterns of emotion directly and physically linked to the human genome. Emotions have a direct effect on our DNA structure and therefore our health. The Galactic Superwave contains the mechanism for switching on your 12 Strand DNA. By raising your vibration and living in the LOVE vibration you can activate your 12 Strand DNA. 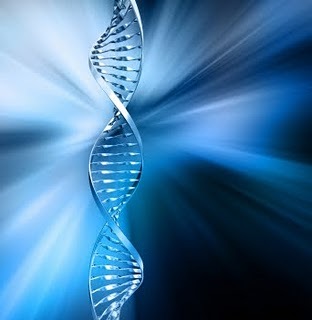 12 Strand DNA will open Universal Wisdom to you as well as transform you into a 5th Dimensional existence. In this presentation you will learn the actual mechanism that your body employs to alter itself for a new Cosmic Evolution! It has been understood by ancient cultures for centuries that the Pineal Gland is the seat of great power and potential. The ruling powers know this and have tried to hide it from the masses for centuries. By activating your Pineal Gland you begin your journey to Universal enlightenment. This prophecy was given by Peter Deunov in 1944, just prior to his death and it regarding the end of our civilization and the beginning of the Golden Age on earth. 1. What will happen to those that do not Ascend? 2. 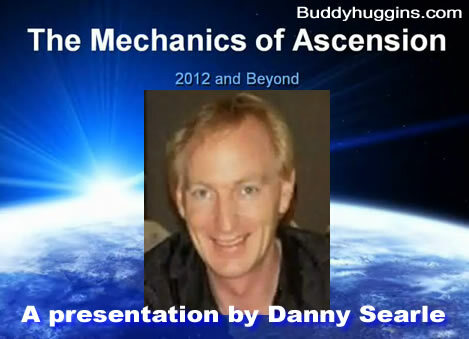 What will I experience during the Ascension process? 3. What can I expect life to be like on the 5th Dimension? So in this video I hope to address these questions to the best of my knowledge. For the first time in a narrative feature film, YOGANANDA depicts the incredible life odyssey of Paramhansa Yogananda, the man who ignited a spiritual revolution by bringing Yoga to America in 1920. The Long-Awaited Inspirational Feature FilmWelcome to the official website of "YOGANANDA," a major motion picture that is being produced for worldwide distribution in 2013 — commemorating the 60th anniversary of the mahasamadhi, or conscious leaving of the body, of the Indian yoga master Paramhansa Yogananda. On this website you can learn about the making of the movie and the life of Paramhansa Yogananda, through promotional trailers, photo galleries, the movie's official blog, and news and events. "YOGANANDA" is based on the book Paramhansa Yogananda: A Biography, by Yogananda's close, direct disciple, Swami Kriyananda. For the past 63 years, Kriyananda has brought Yogananda's teachings to the world – he has authored over 100 books based on Yogananda's teachings, he has written over 400 pieces of music, and he has founded 8 cooperative communities, where about 1,000 people live. Included on the website is information about launches of the biography worldwide in Mumbai, India later in 2011 and the United States in 2012, along with book video trailers. Please join us in our mission of bringing "YOGANANDA" to the world: you can subscribe to our newsletters and participate in the exciting promotions we will announce in future. The cast wish list is subject to change depending on actor's availability. As initial equity is obtained, producers will begin the casting process with a casting director and through personal relationships with ICM, CAA and other major agencies. Pepper Sprayed Man Dies In Jail - What Happened To Nick Christie? Did Lee County Sheriff’s Deputies in southern Florida tie down, pepper-spray, and eventually kill a disturbed man who was arrested for public intoxication? That’s the account and accusation relayed by Reason.com. 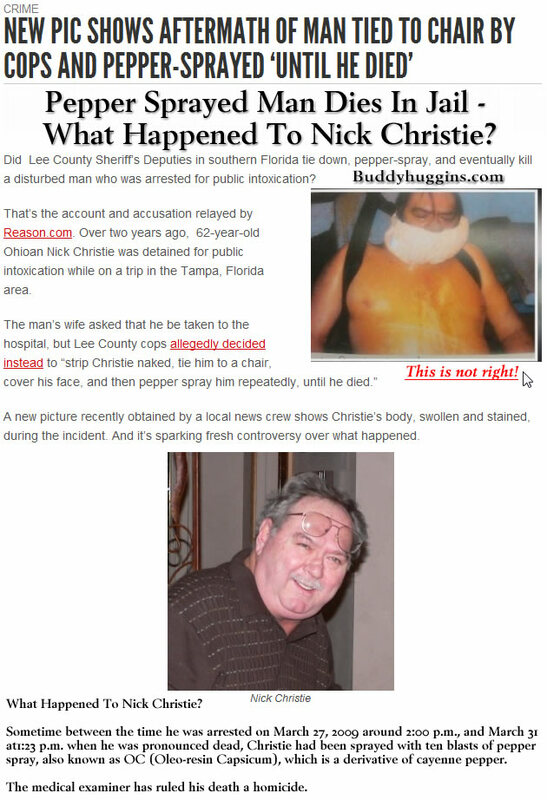 Over two years ago, 62-year-old Ohioan Nick Christie was detained for public intoxication while on a trip in the Tampa, Florida area. A new picture recently obtained by a local news crew shows Christie’s body, swollen and stained, during the incident. And it’s sparking fresh controversy over what happened. At the time, his death was ruled a homicide because he was restrained and repeatedly pepper-sprayed by law enforcement officers. But to this day, no one has been charged with a crime, and the Lee County State Attorney cleared the sheriff’s office of criminal fault in the case. “I was shocked. This was something out of a horror movie,” says Joyce Christie, the man’s wife. She’s filed a wrongful death lawsuit, which alleges Nicks was pepper sprayed 10 times over a 48-hour period. 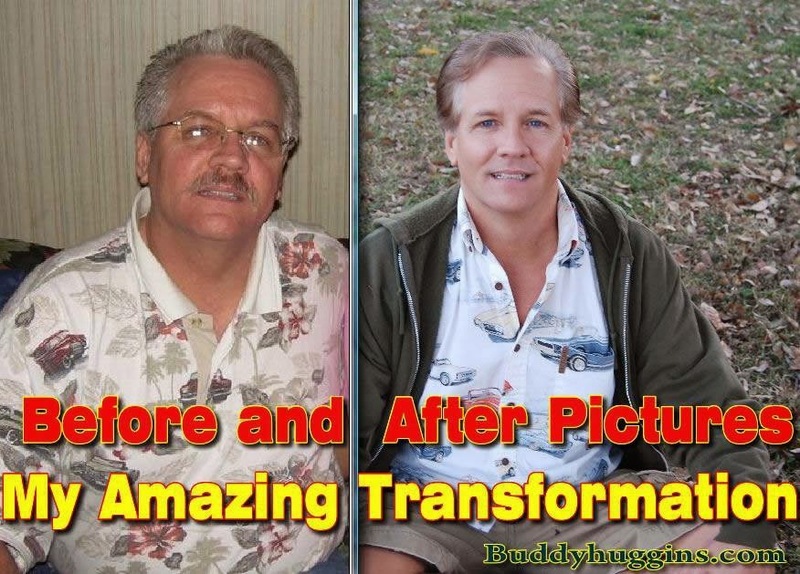 He was eventually taken to the hospital but died of heart failure. The widow of an Ohio man who died in police custody in Fort Myers, Florida last March, will file a federal lawsuit for violating her husband’s constitutional rights by failing to recognize that he was mentally ill.
Joyce Christie, of Girard, Ohio, and her son, plan to file the action against the Lee County Sheriff’s Office and Prison Health Services (PHS), the private company that oversees medical care for the jail, which had taken custody of Nicholas Christie for trespassing. Her attorney, Nick DiCello (IB member), of the Cleveland firm of Spangenberg, Shibley & Liber LLP, says his firm has filed the notices required under Florida state law of an intention to sue. “Letters of intent to file a civil lawsuit for medical malpractice, wrongful death, and civil rights violations, negligence, pain and suffering have been sent,” he tells IB News. Christie, 62, was arrested last March after traveling from Ohio to Fort Myers while suffering, what his widow describes as a mental breakdown. Arrested twice for disorderly conduct and trespassing, Nick Christie was pepper sprayed ten times over the course of his 43-hour custody. Suffering from emphysema, COPD, back and heart problems, the jail staff said his medical files were not available or immediately sought at the time of his arrest. But DiCello says Christie gave his medical history and list of medications to the jail days earlier during his first encounter with law enforcement. His medication list was found in the back pocket of his pants when Christie’s personal effects were returned to his widow. What Happened To Nick Christie? 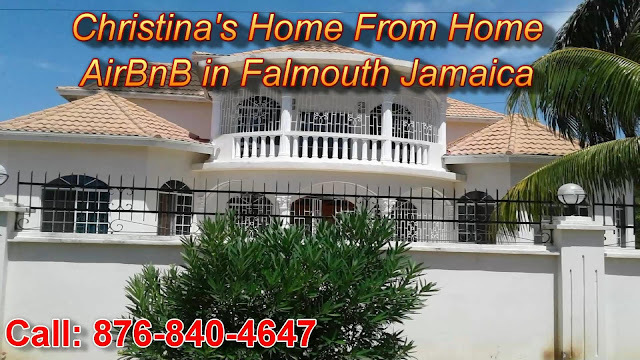 Sometime between the time he was arrested on March 27, 2009 around 2:00 p.m., and March 31 at1:23 p.m. when he was pronounced dead, Christie had been sprayed with ten blasts of pepper spray, also known as OC (Oleo-resin Capsicum), which is a derivative of cayenne pepper. The medical examiner has ruled his death a homicide. On January 6, the Lee County State Attorney’s office mimicked a lengthy investigation by the Lee County Sheriff’s Office, clearing the officers of any wrongdoing in the death. Assistant State Attorney Dean Plattner and Chief Investigator Kevin Smith found the jailers did not break policy guidelines. A separate internal review of policy was not conducted and the five corrections officers have remained on the job. Terry Yeaky, Murdered By USA for knowing OKLAHOMA CITY BOMBING Was An Inside Job ? 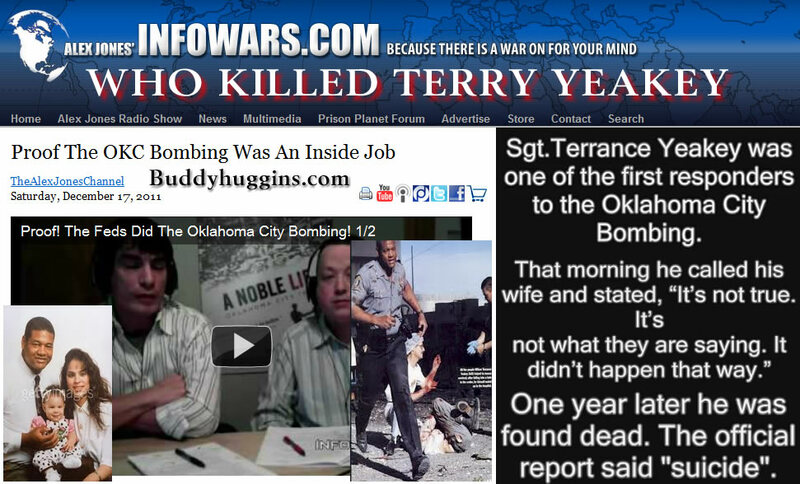 On the Thursday, December 22 edition of the Alex Jones Show, Alex talks with Don Browning, a K9 unit police officer for OKC who found many living and dead in the Murrah rubble and had the courage to testify before the OK County Grand Jury and stand up for police officer Terry Yeaky, who was murdered under suspicious circumstances. Alex also talks with Holland Van den Nieuwenhof, the writer and producer for A Noble Lie, a documentary exposing the official lie behind the Oklahoma City bombing. The film is now available at the Infowars store. IMPORTANT: The entire first pressing of A Noble Lie is currently sold out. A second pressing is already started and Infowars is first in line to receive it. Orders placed on 12/19/2011 or later containing A Noble Lie will not be able to be shipped immediately. Order now and be first in line to receive this now sold out DVD. Alex Jones and the creators of A Noble Lie thank you for the incredible support of this ground breaking film. Proof! The Feds Did The Oklahoma City Bombing! Tonight on the Friday, December 16, 2011 edition of the Infowars Nightly News, Alex interviews guests James Lane and Holland Van den Nieuwenhof about their new film, A Noble Lie, which details their years of investigative research on the false flag that was the Oklahoma City Bombing. From witnesses to victims' family members, incongruities ignored by the mainstream media and much more, this film bares the intention deception that allowed a massive federal power grab and a demonization of the patriot movement inside the homeland. This ground breaking DVD, available at Infowars.com, is the first comprehensive account of the real story of the 1995 OKC bombing. Labels: OKLAHOMA CITY BOMBING Was An Inside Job ?